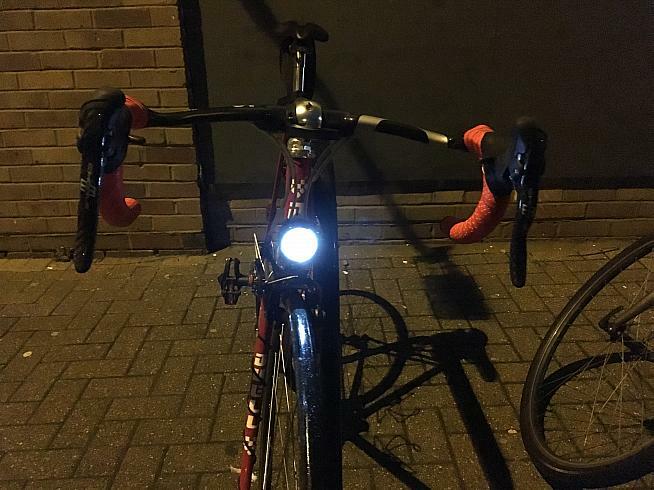 Good bike lights are essential, especially at this time of year when most commutes (and even some Sunday club runs) will finish in darkness. But battery-powered bike lights, while powerful, need to be regularly charged. If you're prone to forgetfulness, or planning an overnight ride or a multi-day tour off the beaten track, then a dynamo-powered lighting system is a great solution. Dynamo lights are generally less powerful than the best battery powered lights - but more than adequate for night cycling. If you remember bicycle dynamos as those little bottles that rub against the tyre to generate power, the game has long moved on. Dynohubs, in which a magnet-powered generator is built into a front wheel hub, mean modern dynamos are not only more discreet but much more efficient. 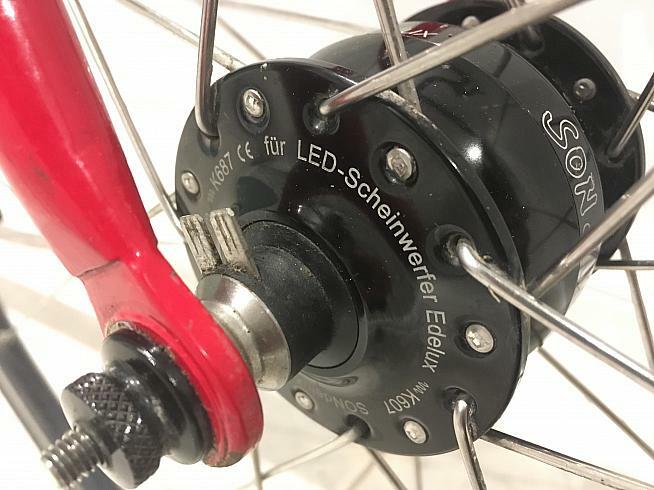 German brand Schmidt and their SON range of dynamos have long been considered the premium choice, and for the past couple of winters I've been running their SONdelux dynohub on my bike. 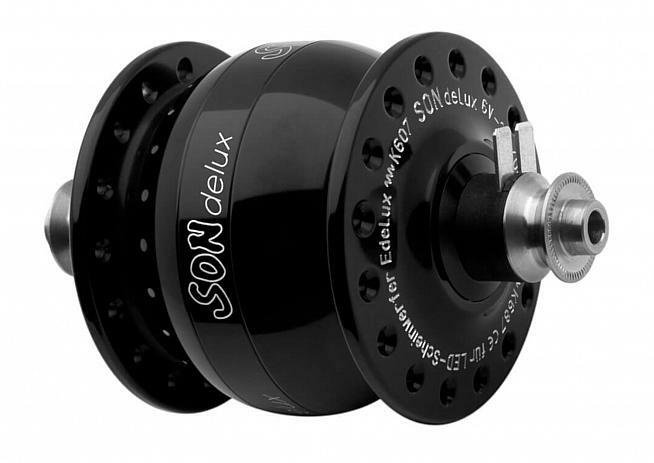 The SONdelux hub weighs 390g and generates power for front and rear lights while cycling. The SONdelux hub is a beautiful object: a solid-feeling metal orb about the size of a Terry's chocolate orange, available in a choice of anodised hues and etched with the brand's logo. When built into a front wheel, it offers enough power to run front and rear lights and even charge your electrical devices like a cycling computer or your mobile phone. Best of all, you'll probably not even notice it's running. You can buy the SONdelux hub by itself if you're handy at wheel building, or specify it already built into a front wheel and ready to use. I ordered mine from SJS Cycles, who built it up onto an Ambrosio Excellight rim to match my existing wheels. SJS Cycles built the SONdelux hub with an Ambrosio rim to match my existing wheelset. On Robin's advice I paired the new wheel with a Schmidt Edelux II front light. Schmidt is the same brand that makes the SONdelux hub; the dynamo is of course compatible with LED lights from other brands too. Set-up is nearly as easy as switching on a light. The wheel fits like any other front wheel, using a quick release skewer (thru-acle disc versions are also available). Then it's just a matter of clipping a cable onto the connector on the hub, and running the cable up the fork leg to attach to the light. I fitted the Edelux II light onto the front brake bolt using the supplied bracket, and wound the cable around the fork leg. A number of manufacturers, like Mason Cycles in Sussex, are now offering forks with holes in them so that cables (whether for disc brakes or dynamo hubs) are concealed. This makes for a clean look and protects the cables, but wasn't an option for me on my retro four-season steel bike. With the light fitted and connected, you're all set. The Edelux II light will illuminate at very low speeds, and there's a built-in reserve which means that even when you stop, the light will stay illuminated for a minute or so. The light cables attach to the spade connectors on the left of the hub - here shown without cables connected. The SON Edelux II light. Having "free" light always on your bike is hugely convenient. If, like me, you struggle to remember to charge your lights or have a tendency to forget where you've left the light after charging it, then making the switch to dynamo power makes life a lot simpler - and safer. The light is always on the bike, and, as long as the front wheel is turning, you'll have light. Of course, it's not quite free light. Running even an efficient hub dynamo does add a small amount of drag while you ride your bike. Thankfully, the SONdelux hub - and its big brother, the Son 28 - are so efficient that the drag is almost imperceptible. We're talking a handful of watts: Schmidt claim a drag of just 0.25w - 1.00w for the SONdelux when it's not powering a light, and 1.80w - 6.10w for speeds of 10km/h - 30km/h when the light is turned on. As those figures indicate, the drag increases the faster you go - and your light will shine brighter - but it's a trade-off that most cyclists will find worthwhile. You really barely notice it in use: more than once I've forgotten to switch my light off during summer rides in bright sunshine, and only realised when I returned home. If you're interested in the data, a great source of real-world info on the output of SON dynamo hubs and their competitors is on the Cycling About site. So that's the watts covered; let's look at the cost to your wallet. SON dynamo hubs are a premium, German-built product and this is reflected in the price tag of around £180 for the hub alone. 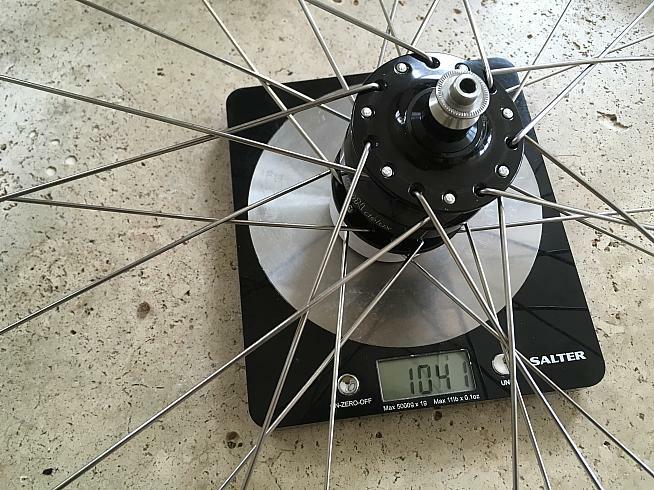 If you're going down the custom wheel route, you'll also need to factor in the cost of a rim, spokes and labour to build the wheel to your specification. 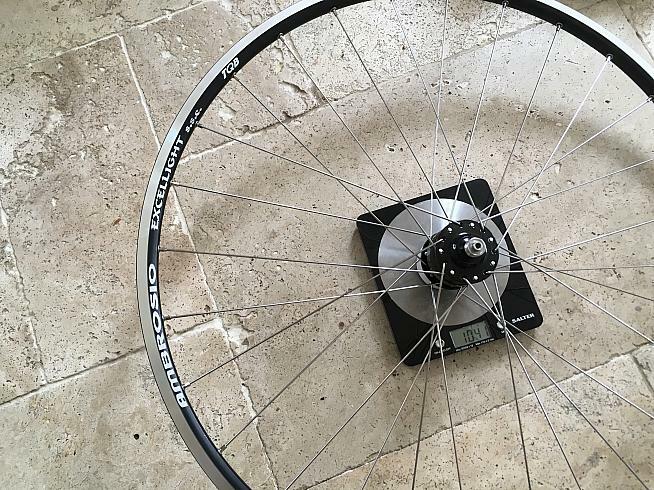 Alternatively, pre-built wheels are available from retailers like SJS Cycles: a SONdelux hub with a Mavic Open Pro rim will set you back £249.99 for example. It's worth saying at this point that disc brake versions of the hub are also available; Hunt, for example, responded to customer demand and now offer the SONdelux as part of their road, gravel and touring wheelsets with prices starting at £539. The cost for many cyclists will be justified. For example, if you're commuting regularly by bike then I'd say a hub dynamo system is a worthwhile investment. It's also a fantastic option for anyone planning cycle touring or endurance events, whether that's long-distance audaxes, or unsupported races like the Veneto Trail. On all-day or even multi-day rides, the ability to keep your lights running and devices charged while on the move is invaluable. SON hubs are also built to last. SON offer a five-year guarantee on their hubs, and their sealed bearing system is designed to run for many tens of thousands of kilometres without any need for lubrication or maintenance. In fact, even if an issue does arise with the bearings, SON say they'll replace them for free. I've been running the SONdelux hub on my steel bike for over two years now, and I can't see myself troubling the warranty department anytime soon: the dynamo continues to perform flawlessly in all weather conditions. I haven't actually tested it for powering devices other than a front light, but the light alone has justified the outlay for me. 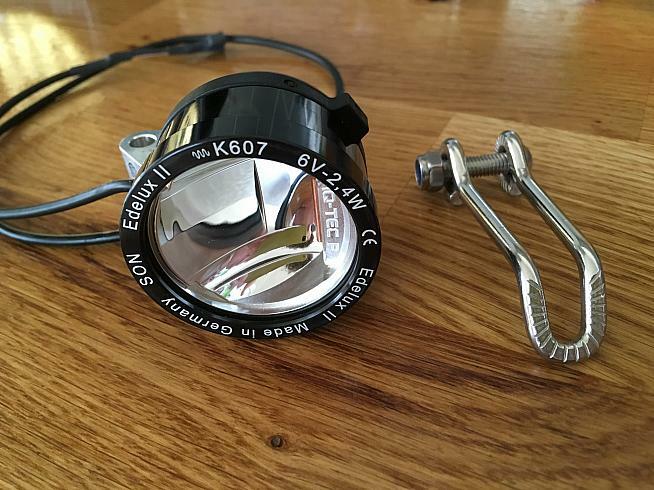 The SONdelux's 3 watt / 6 volt output is perfectly adequate to run a modern LED headlamp in addition to a rear light, but if you want to charge your phone, GPS computer etc at the same time then some people advise choosing the SON 28 hub instead. This generates slightly more power (and marginally more resistance) and is also about 40g heavier, but may be worthwhile for power-hungry users. For most people though, the SONdelux hits the sweet spot of providing a lightweight, high quality, low-resistance power supply that ensures you'll never again be afraid of the dark. SONdelux dynamo hub, approx £180 for hub alone at www.sjscycles.co.uk; SON Dynohub heels from £249.99 at SJS Cycles; Hunt dynamo disc wheelsets from £539. For more information on SON hubs visit nabendynamo.de.